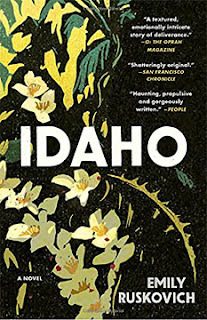 “Idaho” is an odd, moving novel about a family that has come apart and then is welded together by a fragile commonality. “Family” is a loose term for Wade, Jenny, June, Mae, and Ann. Jenny, Wade’s first wife, killed their young daughter Mae. Upon seeing either the act itself or the aftermath, June, the not-much-older daughter, runs away and disappears. After Jenny goes to prison, Wade eventually marries Ann, the music teacher at his daughters’ former school. As if Wade has not experienced enough tragedy, he begins to act strangely and fears that he has the same early onset dementia his father and grandfather had. Emily Ruskovich presents her tragedy with grace and beauty infused in the telling. Especially Jenny’s story seems dreamlike, and she almost saintlike. Her burden in prison is borne mostly with silence, and in silence comes a sort of forgetting. But there is no forgiving. Ann forgives. She forgives daily. She is the only one, it seems, who still searches for answers. One of the most poignant moments is when she meets with an amateur artist who is very good at creating a portrait of what the missing June may look like later in life. If Ann and the artist cannot know the real June, the portraits of June give her a real enough life. In the end, there is a dilemma about whether there was even a crime committed. There was an action following a thought, but what in the end was the thought. One of the delights of “The Dime” is learning the derivation of the title. But that’s just one of the treats Kathleen Kent disperses throughout her novel. 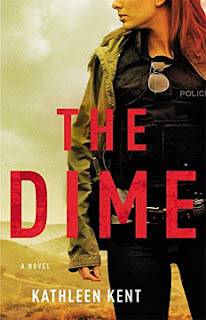 “The Dime” starts out with a whiz-bang moment when rookie cop Betty Rhyzyk is called to a shooting that goes south very quickly. She is all that stands between a really bad situation and a FUBAR. That happens in Brooklyn, land of her birth and home to generations of Rhyzyk cops. Jump ahead a few years and half a country away to Dallas, Texas, and Betty is still a cop, but this time with narcotics. Her most recent case would stay within the purview of narcotics, except for the dead bodies. Betty is in charge of the unit that is setting up to take down a big time Mexican cartel drug dealer. What’s the opposite of kismet? Is it FUBAR? Betty is already acquainted with that. This book is about how Betty deals with things when they go south. Nothing would suggest that she is not up to the task. Betty is almost six feet tall with luxurious red hair. Not surprisingly, “Red” is one of her nicknames. She has gained wary respect from her colleagues because of her calm, cool and collected manner and her toughness. Let’s dispense with the she’s-tough-for-a-woman or he’s-sensitive-for-a-man qualifiers. Kathleen Kent has created a character who exists in her own space. Betty’s quest to plug up some of the drug problems plaguing Dallas soon infringes on her personal life. Her girlfriend is a native Texan, the reason Betty relocated there. Betty and Jackie have enough trouble with her family’s prejudices and the homophobic atmosphere they frequently encounter, they really don’t need to be playing hide-and-seek with the cartels. Kent charges through her story with fast-paced action and solid characterizations. From the dead uncle whose advice Betty still channels to the grumpy colleague who constantly busts her chops, Kent makes the surrounding personnel three-dimensional with just a few strokes. We'll bring you more of our reviews of these books in the coming months. The Edgar Awards ceremony will be on April 26 in Manhattan. While “Grief Cottage” and “Sing, Unburied, Sing” are not mysteries, each contains references to crimes. The books relate to the fall-out from these crimes. The mysteries of life are often interwoven with thoughts of death, however much we try to suppress them. At first (and almost to the end of the book) I thought this might be a Young Adult or Middle School book. Eleven-year-old Marcus is the narrator, but obviously from a future viewpoint. After living on the edge of poverty with his mother for most of his life, Marcus finds himself elevated a few economic notches when his mother dies in a car accident. He is sent to live with his great aunt by the sea in South Carolina. His mother providentially had paid for life insurance for herself. As a result, Marcus no longer has to worry excessively about money, but a small lifetime of parsimonious habits are hard to reverse. At a not-so-distant point in the past, Marcus injured his best friend in a fight. Psychological care was mandated, and Marcus and his mother had to move to another town. Before that happened, however, Marcus and his friend would discuss what they would do if they met a ghost. 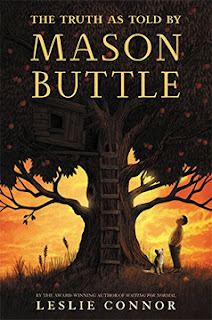 As pudgy, forlorn Marcus attempts to begin life in his aunt’s seaside town by rambling along the shore, he finds a tumbledown house with a tragic past. A family of vacationing outsiders died in Hurricane Hazel (1954), their bodies never found. Fifty years later, Marcus stares into the depths of the rotting home and thinks he sees the ghost of the family’s young son. 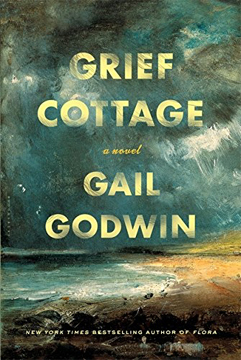 I’ve gone on too long about a book which is not strictly a mystery, but I was favorably struck by Gail Godwin’s characterizations, kindly perceptions, and depiction of a smart young boy with a big burden to shoulder. Old crimes eventually surface and catalyze the emotionally intense last moments of the book. Could this be one of the best-selling books on the planet right now? The New York Times and The PBS Newshour have combined their significant literary forces to begin an online book club. The last time I looked, there were 30,000+ members. In other words, good luck on getting a copy from your library. This is their first pick, and the discussion is currently ongoing on Facebook under the heading, Now Read This. Ghostly and spiritual presences abound in this profound literary excavation into the difficulties of an African-American family in Mississippi. You can say that their story is the tip of the iceberg that is the history of the South. The ripples of slavery, including its demon spawn of racism and bigotry, strike even centuries down the line. 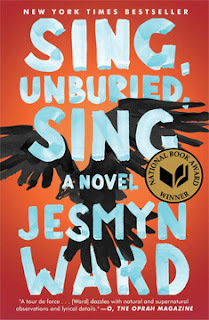 Jesmyn Ward wrote this book before our nation began its most recent conversation about racism, bigotry, prejudice, the shiny re-packaging of the Civil War, and what it means to be human. Thirteen-year-old Jojo, his three-year-old sister Kayla, his mother Leonie, white father Michael, grandfather Pop, and grandmother Mam are the central characters. Some of them can see ghosts, make healing herbal concoctions, talk to the voodoo spirits. But what does that spirit world mean to them, provide for them, demand of them? 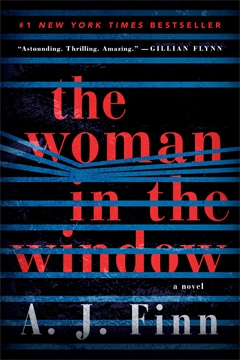 Although the narrative ball is passed among a few of the characters, including one ghost, Ward never loses her strong and provocative central voice. The dialogue reflects the characters’ external world, but the narrative voices are Ward’s. There are crimes and misdemeanors aplenty, but the biggest crime is how the system that should protect all is sometimes turned against the most vulnerable. 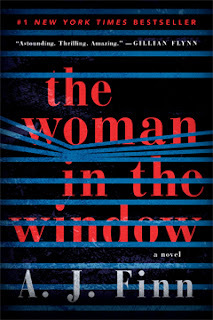 Australian author Jane Harper has written one of the best mysteries I’ve read in a long time. She combines a great, human story with evocative writing. “The Dry” depicts drought-ridden Kiewarra, a small town a few hours outside of Melbourne, so well that you would be advised to have a big, cold glass of water nearby as you read. Federal police officer Aaron Falk returns to Kiewarra after an absence of twenty years to attend the funeral of his former best friend, Luke Hadler. Everyone is saying that Luke shot his wife and young son, then killed himself, but Luke’s parents believe in their hearts that their son could not possibly have done that. The fact that Aaron is with the feds’ financial investigation unit doeesn’t dissuade the parents from asking Aaron for his help. In payment of past kindnesses, Aaron unofficially agrees to “look into” the deaths. Some of the story is told in flashbacks to when Aaron still lived in Kiewarra as a teenager. What Harper does so well is delineate the complex relationships that teenagers can have with one another, given the wild hormones, self-consciousness, and secrecy of that age. Aaron and Luke grew up together. Their twosome is joined in their teens by Gretchen Schoner and Ellie Deacon, first friends and then potential girlfriends. When sixteen-year-old Ellie, Aaron’s crush, is found drowned in the nearby river, already bad relations with her family become worse. Both Aaron and his father are accused in turn of having murdered her when their last name, “Falk,” is found written on a piece of paper in Ellie’s possession. Soon the Falks leave town. Harper draws her characters with minimum fuss but with great impact. Although various people represent town stereotypes, they feel real, not cartoonish. Working from nothing, Aaron and Sergeant Greg Raco, newly appointed to what was supposed to have been the quiet post of Kiewarra, try to piece together Luke’s last day and what might have driven him to the massacre. They find some vague inconsistencies at the death scene, including the fact that baby Charlotte’s life was spared. Gretchen still lives in town and Aaron glimpses the changes that have come to Kiewarra through her eyes. Not least of the changes is the disappearance of the river, a victim of the drought. Kiewarra is a dying town. The remaining residents are hoping somehow to struggle through until the drought breaks, but no one can assure them that it will break in time. Hate follows Aaron, who is still blamed for Ellie’s death, even by people who do not know him. There is a simmering lynch mob whose attitude is not helped by the deadly hot weather. Even with the backing of Raco, Gretchen, and a couple of other worthy citizens, Aaron needs to tread carefully, which makes it hard to investigate the deaths. Inexplicably, too, Aaron finds he needs to consider if the Hadlers’ deaths are somehow related to Ellie’s long ago. Harper doesn’t veer from her clear storytelling style. There is a strong sense of you-are-there that comes across in her writing. And when she resolves all the storylines, you can hear all the “aha”s echoing around the world. 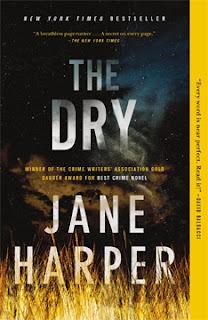 In honor of the recent release of the paperback version of "The Dry," this is my first 2018 MBTB star! 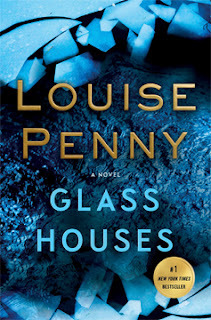 Louise Penny torments her readers with tender grace. She not only plots a mystery, she also tells the ongoing stories of many of the residents of the tiny village of Three Pines*, Québec. It all takes a mighty fistful of pages. She draaaaws out the mysteries in “Glass Houses,” then suddenly swishes a piece of jagged glass cleanly through with a surprise twist. It’s a merciful killing after a long, exquisite torture. Penny is known for her slow buildup of the who-what-when-where-whydunnit of her story. In this case, there are several stories, one the continuation of main character Armand Gamache’s continuing fight against corruption in the police force. Now he is the Chief Superintendent of the Sûreté du Québec and in a position to really do something about it. Also, opiate use has run amok in Canada, as it has in the United States. There is a line of no return that might already have gone by, with no chance of curbing the illegal import and export of the increasingly strong drugs being manufactured. I am always reminded of the epithets of Homer’s “Iliad” and “Odyssey” whenever I read Penny — e.g., rosy-fingered dawn, gray-eyed Athena. Each of Penny's serial characters has repeated attributes, especially the cranky poet, Ruth, and her expletive-spewing duck. Her readers must get into the leisurely rhythm and repetition of her style of storytelling. “Glass Houses” is the lucky thirteenth book in Penny’s Gamache series, and there has been ample time to study the continuing characters. On a more poignant note, her recent books have also allowed her readers to follow her real life a bit. In her acknowledgements, Penny has referred to her husband, Michael. She mentioned his Alzheimer’s diagnosis at the end of one book. And at the end of “Glass Houses,” she talks about his death. Her work is imbued with the kindness and compassion of the kind that must infuse her real life. The Broken Earth trilogy has been a terrific series! 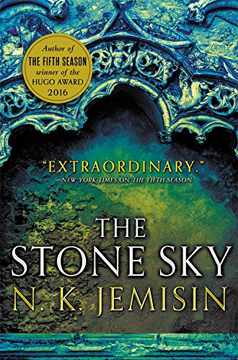 “The Stone Sky” completes N. K. Jemisin’s outstanding fantasy work, following “The Fifth Season” and “The Obelisk Gate.” I also applaud Jemisin’s commitment to getting the books in the series out to her readers in a timely fashion. I have been waiting for YEARS for some sequels from other authors. Essun and her daughter, ten-year-old Nassun, are the special people upon whom human survival depends. In this last book, Jemisin reveals the genesis of how people like Essun and Nassun are able to affect geological events, like earthquakes and volcanic eruptions, which they can cause or quell. There are many timely issues: ecology, misuse of natural resources, biospheres, biotic interconnectedness, the complex definitions of who or what is human and non-human, and the moral cost of subjugation. Essun and Nassun have spent most of the books separated. A tragic cataclysm drove them apart and an even greater one threatens to destroy all life on the surface. It is only when the end is near that they might manage to meet again. Finally, Jemisin solves one of the predominant mysteries of the series: Who is the books’ narrator? The narrator has slowly come into focus. The narrator has a surprising role to play and an intriguing final story to tell. The narrator is the only one who can tie what caused the beginning of the disruptive fifth seasons with the current stories of Essun and Nassun. Life in a chaotic fifth season is not easy and the myriad problems never have black or white answers. That is what makes this book so riveting. And that is what makes this final book so satisfying.